Missed the deadline? We accept applications up to the festival date! Friday, August 23 – 11:00 a.m. – 8:00 p.m.
Saturday, August 24 – 10:00 a.m. – 8:00 p.m. This festival does not charge an application fee. After notification of acceptance, booth space assignments are made upon receipt of the booth fee. Because one of the purposes of this Festival is to promote art in Albany, booth fees remain low and a commission fee will not be collected. Electricity is available at no additional charge. Artists are encouraged to bring lights for their booth. By completing an application online you are confirming you have read all of the information on this page. You must submit an application in each category in which you would like to display and sell merchandise. The Festival is open to all artists. All artists must use a separate entry form for each category entered. All work must be original by the artist submitting the application. Artists may not display the work of another non-juried artist. Two artists may share booth space if both have been juried into the show. Artists may apply in more than one category but must submit a separate application form and 5 images for each medium. Artists will not be allowed to display work in categories for which they were not accepted. Booth spaces are 10’ x 10’. Artists are responsible for providing all equipment (including canopy), staffing, assembling, and dismantling of their booths/displays. Artists are responsible for the security of their belongings at all times. All display, booth material, and artwork must be confined to the designated booth space. Artist should come prepared for inclement weather. Booth/Display must have Festival approval. In order to obtain pre-approval, a photo should be included with your application that shows your booth/display area. Artists not submitting a photo will have their booth juried on site. Artists are strongly encouraged to bring lighting for their booth. Artists should come prepared to sell until 8 p.m. on both Friday and Saturday night. Both the Friday Night Glow and the Saturday evening concert generate large crowds during the evening. Most artists have found it beneficial to remain open until the end of the event for shoppers leaving the festival. Artists are welcome to stay open later than 8 p.m. and may find that doing so increases sales. Artists will be able to drive on-site for unloading and set-up from 8 a.m.-10 a.m. on Friday. We encourage artist to set-up on Thursday (9 a.m. – 5 p.m.). If you are a returning artist and would like to set-up Thursday evening that can be done with approval. 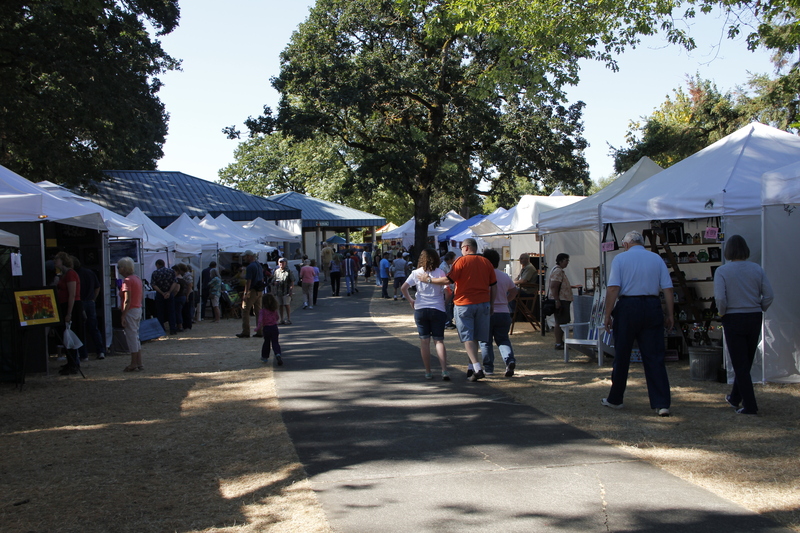 All vehicles will be prohibited in the vendor area from 10:30 a.m. Friday until Sunday at 8 a.m.
Artists should come prepared to move items using a hand-truck or other devices. 8 a.m. until Noon on Sunday. Artists are responsible for security of their work at all times. A staff member is available on the grounds 24-hours per day from Friday noon through Sunday at 5 p.m. The Festival is not responsible for loss, damage, or theft. A major promotional effort utilizing print, radio, television, artists postcards, and posters will help attract a diverse and widespread audience to the Festival.